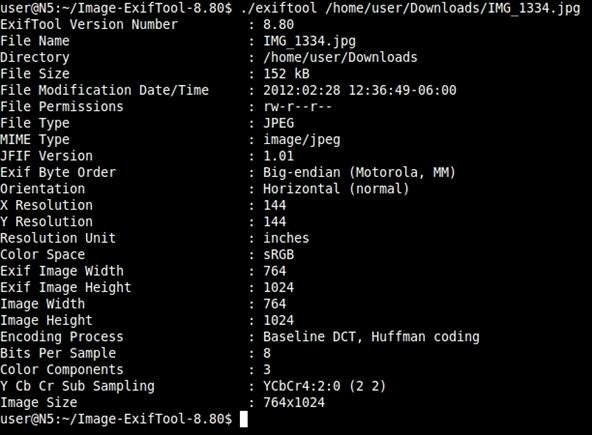 Did you know there is hidden data in your digital pictures? Well, there is, and that data might be a security risk to you. Think back at all of those pictures you're in and are connected with. I'm sure some of those you'd like to distance yourself from. And surely you wouldn't mind checking out the metadata in a few of those images. In this article, we'll be going over how to do just that. Metadata is nothing new, but with camera phones and other mobile devices becoming the standard for personal photography, new avenues open up for gaining knowledge on your target. Metadata is simply data about data, or in our context, data about content. While the word has far reaching definitions, we will focus on how it applies to digital photos. Normally, this would contain information describing the type of image, when the image was created, and other details such as contrast, color and context. Basic stuff. Sometimes you get more than that though. Sometimes you get names, dates, times of creation, and other identifying items. Some cameras even let you add your name in the setup, which goes into the metadata. And let's not forget about location. Geotagging is when actual location info is stored in the image. This is a growing trend, since more and more mobile phones are equipped with GPS. Using the techniques below, you'll be able to pull this GPS data and determine just where the picture was taken. Let's take a look at a personal favorite program of mine, exiftool. Let's take a look at the metadata of a picture my dear old mother sent to me this morning. For my own protection, this will not include any personal info, but it will show you the general output and commands to use. Understanding metadata in images is critical. You might find yourself looking for someone else, or not wanting to be found at all. It's wise for the paranoid to check pictures that they're in for GPS tags and other possible identifying information, such as dates and software watermarks. For those interested, Phil Harvey has written a well laid out breakdown of the more advanced applications for Exiftool. You can do more then just look at metadata, but not everyone needs to bother with it, so I left it out of the main article. But if you're curious, click above. Ever find anything interesting in your images? 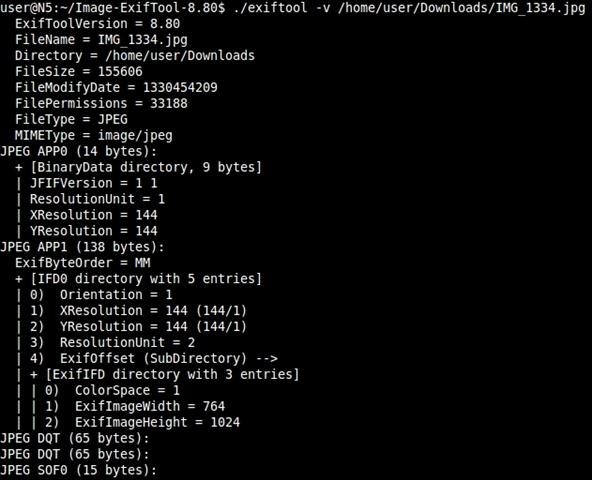 Ever pull metadata out of an photograph and locate someone? Share your stories with us! Questions? Comments? I would love to hear them. Shoot me a line below, send me a message or visit our forum! so. awesome. :D great article!!! Some anon from an imgboard I won't name here posted his exgfs picture asking for people to call her and leave her messages. Someone pulled his name and GPS location from the picture, posted it then called his exgf with screencaps of what happened. Needless to say this panned out over a 12 hour period of extreme lulz. Haha, I am going to try this on some of my friend's internet profile photos! I need some lulz right about now? :) I never knew there were GPS coordinates embedded in the photo data? You have to be stenographer just to know what personal details are being distributed on the internet? Thanks for the great article as usual! Only sometimes there is. As more and more phones have gps this will grow I think. I heard about some American law requiring phones to have gps for emergency services. I don't have a good source for it so I left it out, but it's also something to consider. Thanks for the kind words! I was wondering, how hard is it to input information into the metadata? Not hard at all, you can use the program I used or google another one, I just happen to like this one. Digital Camera Manufacturers are heading for huge legal issues. The question is, did they properly inform the users that their personal detail would be collected and embedded into the digital pictures. Were they properly informed that by posting such pictures online, their personal details would be available for others to read?